One of the many allures of finding a home for sale on the Northeast side of Bend, Oregon is its proximity to St. Charles Hospital and The Center. Many in the medical profession prefer to be within a short drives distance of the abundance of medical oriented clinic's located on this side of Bend. In addition, Costco, Whole Foods, and Trader Joe's are all located on the NE side of town. 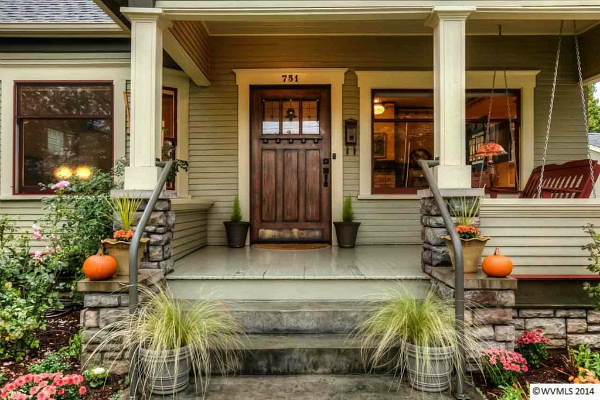 An additional bonus for a potential home buyer is the fact that a prospective homeowners' money will go furthur on this side of town than anywhere in Bend, all other things being equal. Many of the new construction neighborhoods in Bend can be found on the Eastside, including homes for sale in Mirada, Grizzly Ridge, and Eagle Point. If Luxury real estate is more your style, then we strongly suggest looking at Pronghorn homes for sale, a truly remarkable high end golf course community which is second to none. If small acreage is more your thing, than you are sure to find a home to your liking at either of the Boonsborough or Old Deschutes subdivisions, but inventory can be fairly scarce at times. Some of our perennial favorite Eastside subdivisions which are easy to recommend are Yardley Estates and Lava Ridges by Pahlisch Homes. Know that all real estate listings shown below are updated in real time from the Central Oregon MLS, and that you are currently looking at every Eastside home for sale in the Northeast quadrant! Do you Already have an idea which Bend neighborhood or subdivision you'd like to live in? Search the following list of NE Bend Oregon subdivisions and neighborhoods to find the perfect home for sale in Bend, OR. If you would like more information on any of these NE Bend real estate listings, just click the "Request More Information" button when viewing the details of that property. If you are considering Land For Sale, or a Condo in Bend, we can help with this too. We are the local housing experts, and can provide you with real estate disclosures, past sales history, property taxes, dates and prices of homes recently sold in the NE area of Bend, Oregon, and more. Do you have specific questions about an Eastside home or property? Call Greg Broderick, an experienced Broker and Realtor with Remax Key Properties at (541)280-2363 or email at greg@bendrealestate.com. Greg know's Bend Real Estate! Lastly, if you prefer a condo or townhome in downtown Bend or the Old MIll, then consider The Mill Quarter, Otter Run, or Basecamp. A more budget friendly neighborhood geared towards second homes, which double as a VRBO or a vacation rental opportunity, would be the Inn of The Seventh Mountain or Mt. Bachelor Village. Please call us direct if you would like additional information on real estate in NW Bend. And, if you haven't already, be sure to register for a free account so that you can receive instant MLS email alerts whenever new homes for sale, properties, or real estate come on the market in Northeast Bend, Oregon.